You are looking for your next big challenge. You want to see the results of your hard work, are ready to do it on your terms, and are looking for a company that welcomes your talent no matter where you live. 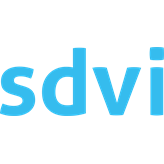 We are SDVI, a cutting-edge SaaS developer for Media & Entertainment, and we believe that the ideal company is a tight-knit team pursuing excellence and having fun along the way. We are a completely distributed company, with staff based around the globe, looking to grow our team of A-level developers. Are you ready to join us? SDVI is engaged in an exciting challenge: bringing the benefits of cloud-enabled technology to world-class Media & Entertainment companies. The media industry is in the midst of a radical shift: content is streamed to individuals around the globe - in their living room, in their lap, or in the palm of their hand. SDVI is at the center of that transformation. SDVI is the market leader in its space and, with 100% business growth year-on-year, we’re pursuing an aggressive company growth strategy. We’re partnered with global industry leaders, including Discovery, Fox, Sky, Turner, and others. Many of these customers are also investors: they truly need the technologies we’re developing and work closely with our teams to get it right. We offer a robust benefits package, including stock options, highly competitive salary, unlimited vacation allowance, and comprehensive medical, vision, and dental benefits. SDVI respects the individual needs of employees and is an equal opportunity employer. We check all of your boxes in terms of stability and generous benefits. You are an A-level player who wants to work with other A-level players. You can thrive in an Agile environment where engineers talk directly to their users and immediately see how your work is making a real difference. You appreciate commitment to best-practices – solving problems the right way, not just any way. You want to be part of a team that respects individuals and their work. You can work independently and maintain focus. You enjoy working on enterprise-scale projects, or you are ready to take on that challenge. You consider the big picture and your contribution to it. If we do say so ourselves, we are smart, competitive, responsible, creative and fun. We enjoy big challenges and excellence in our work. We value a supportive team culture, and we expect our staff to maintain strong work/life balance, because good people are the difference between a satisfactory job and a great job. We’ve found that the sharpest and most creative people also tend to be the most fun. A great sense of humor is highly valued around here - that’s what keeps our energy up and makes us look forward to working together each day. And we do work closely together every day, even though we don’t share an office. As a completely distributed company, we each work in the place that makes the most sense for us, whether at home, on the road, in a shared business workspace… the possibilities are really up to you. We’ve created an infrastructure that makes the distributed work environment work for our teams. We also bring our staff together for quarterly in-person meetings that include team dinners and activities. They let us have some fun together and build stronger relationships. Our team agrees: these kinds of details are what make SDVI a great place to work. Does SDVI sound like a good fit? Contact us. Let’s talk. Want to get notified about new jobs at SDVI?